Didn’t realize that astrophysics was the same as meteorology/climatology. It isn’t. 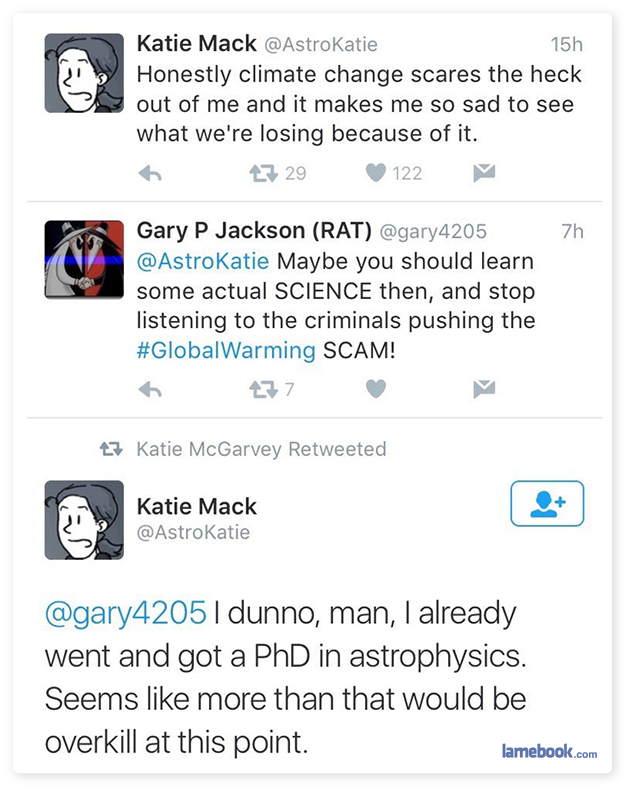 But he said “maybe you should go learn some REAL science.” Astrophysics is a real science. That is what she was responding to. I’m sure astrophysics understands climate change and its causes a lot more than meteorology ever will.